I have recently finished up the revision to the AutoCAD book that I had originally co-authored back in 2006 which was based on AutoCAD 2007 and AutoCAD LT 2007 at that time. 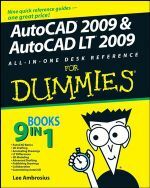 The revision to the book is entitled AutoCAD 2009 and AutoCAD LT 2009 All-in-One Desk Reference for Dummies book and should be out on store shelves or will be available for purchase from your favorite online purchasing site such as Amazon.com or BN.com in the next week. The new book weighs in at 792 pages of AutoCAD goodness, up a bit from the previous edition when it comes to print. However, one of the things that was done with this edition instead of trying to stuff all the new content in between the covers and tossing out existing content to make room for the new content, a portion of the book has been moved to downloadable content. The content that was mainly moved to downloadable content is in the area of customization and programming AutoCAD. 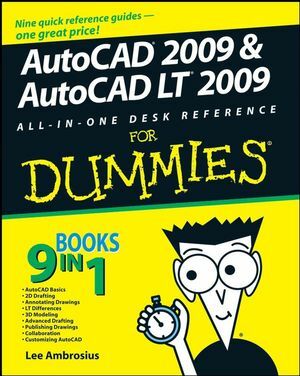 To learn more about the AutoCAD 2009 and AutoCAD LT 2009 All-in-One Desk Reference for Dummies book, click the URL below. In addition to the book that I have recently finished authoring, I have also had the privilege once again to read through the latest edition of the AutoCAD for Dummies series, AutoCAD 2009 for Dummies which is authored by David Byrnes'. 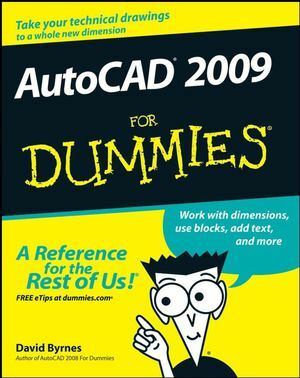 The AutoCAD 2009 for Dummies book is a much more compact version of the AutoCAD 2009 and AutoCAD LT 2009 All-in-One Desk Reference for Dummies book. The AutoCAD 2009 for Dummies book focuses on many of the key fundamentals of AutoCAD, whereas the AutoCAD 2009 and AutoCAD LT 2009 All-in-One Desk Reference for Dummies book covers the fundamentals of AutoCAD and leads into much more advanced topics like customization and programming of AutoCAD. 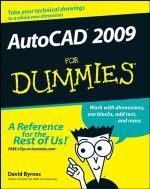 To learn more about the AutoCAD 2009 for Dummies book, click the URL below. There are other AutoCAD books on their way and I will cover some of them later when it gets closer to their publish dates.